Property Inspection Waivers: Are they really worth the risk? If you are getting a loan for a home, your lender might give you the option to use a Property Inspection Waiver (PIW) on your application. The PIW program, begun by Fannie Mae in 2017, allows you to move forward with your mortgage without requiring an appraisal. It's a newer concept, and some lenders love it. But what determined it, and what are the risks for you as a home buyer? How do Property Inspection Waivers work? 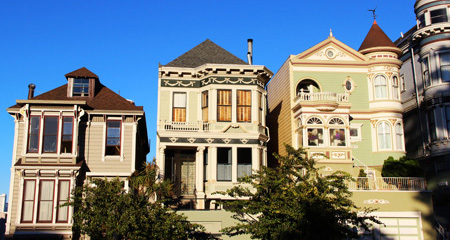 Essentially, your lender decides what your house is worth. They determine its value systematically on a computer, employing an online database from Fannie Mae instead of hiring a local appraiser to personally inspect the property you're getting ready to buy. So, rather than a hands-on evaluation, lenders rely entirely on computer processes to sift through a trove of previously collected data. The program's currently limited, but it is including more transaction types continuously. Your property has to have records in Fannie Mae's electronic database, so homes that have never been appraised are not eligible for a PIW. What's more, you're required to have an excellent credit score and high assets for approval. The waiver removes appraisal fees, and it can shorten closing time substantially for buyers. At first glance, this streamlined process seems like a bargain — but there's a crucial point you'll want to recognize. With a PIW, your lender is NOT liable if the valuation turns out to be wrong. That's an added bonus for lenders, but offers no protection to the home buyer whatsoever. Is there anything that could go wrong? The information in Fannie Mae's database is pulled from past appraisal reports done by professional appraisers. it might be accurate to some extent, but it won't necessarily be a current assessment of the quality of a building that's constantly changing. Without a professional valuation of your home, recent improvements, renovations, or damages could easily be overlooked by the system. Because of these shortcomings, it's easy to imagine a situation where your property is valued too high by the system evaluating it. If that happens, you could run into snags when it's time to put it back on the market. You could end up settling for far less than you paid, and you'll have no recourse against your lender when the money falls short. An accurate, professional appraisal typically costs a few hundred dollars, but it can save you thousands (or tens of thousands) in the long run. With a PIW, there is no guarantee you're getting an honest valuation of your most expensive asset. Gregory James Company, Inc. can help. Buying or refinancing a house is a big decision with big consequences. You need to know with certainty that you're receiving a fair deal, and working with a licensed appraiser is the safest action you can take. Computers and algorithms are in almost every area of modern life, but when it comes to measuring the value of your property, nothing is more accurate than the careful examination of a licensed professional you trust.